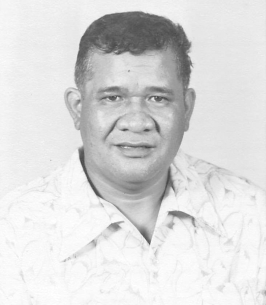 Sindo Hernandez, 80, of Pearl City/Wahiawa Hawaii, passed away on March 22, 2019 in Honolulu, Hawaii. He was born in Pa'ahau, Big Island. He is survived by companion: Jodi Kluznika, Son Byron (Jesika) Hernandez, Daughter Hughlyn (James Kimo) Fonoti, Brothers Melicio "Mel"of Mililani, Eugene B. (Chun Cha) Hernandez of Junction City, KS, Sister Frances Hernandez of Big Island, Grandchildren: Isaiah, Shaenan, Shaniah, Michael James Hernandez-Fonoti, Byron Hernandez Jr., Great Grandchild Samson Savea-Fonoti. Celebration of Life services will be held on Thursday April 25, 2019 at Ballard Family Moanalua Mortuary Chapel. Visitation is at 5:00 pm, services at 6:00 pm. Burial services will be held on Friday April 26, 2019 at the Hawaii State Veterans Cemetery in Kaneohe at 11:00 am. Casual attire; Flowers are welcome. To send flowers to the family of Sindo Hernandez, please visit our Heartfelt Sympathies Store.